US Open 2011: Opening night. Federer wins. He walked out sporting his classy and stylish night outfit, very dark gray highlighted with a stripe of red. The match began in cruise control, slipped up a bit, and then held steady to end the night with a win. 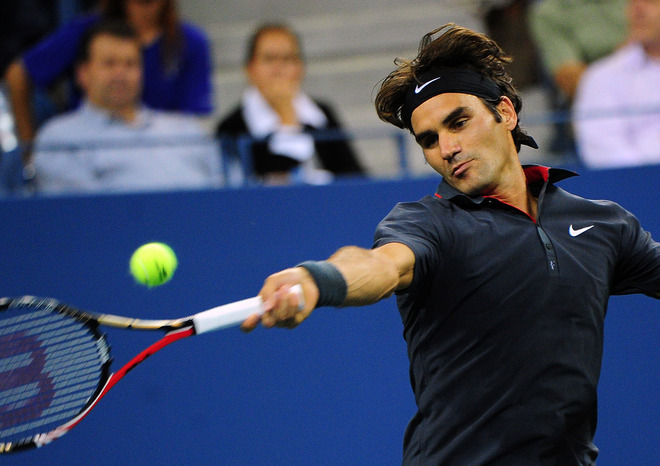 That is Roger’s beginning to yet another quest for his 17th grand slam title. Tonight wasn’t pretty but overall fairly routine other than the small slip-up after rushing to a 5-1 lead in the first set. The first two sets were a bit shaky to say the least, but the third set looked about right for Federer fans. 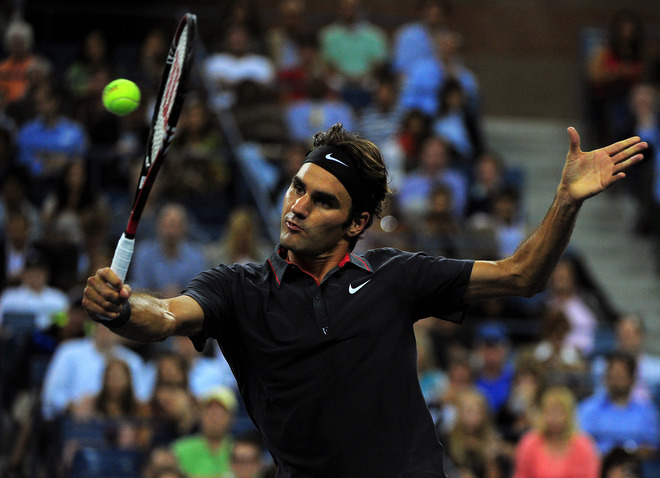 It’s not the level or match expected, but nonetheless Roger moves on with the 6-4 6-3 6-2 victory over Santiago Giraldo. He will play Dudi Sela in the second round, most likely played on Thursday. Also one more thing, Federer has now tied Andre Agassi for second most wins in grand slams in the open era (224 wins). With nine more wins, he will tie Jimmy Connors for first on that list (233). Seems every time Roger steps on the court, he’s tying or breaking records.